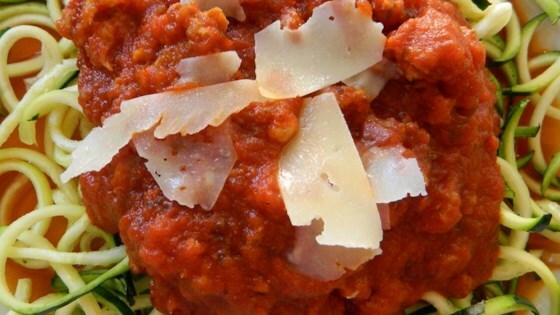 "Hearty sauce with sausage, pork and meatballs. It takes a while, but it's well worth it." Wow, this was so good. Lots of flavour and meat. If I had five thumbs, that's what I would give. Changed nothing and it came out great.